Saturn's atmosphere is essentially transparent at wavelengths visible to the human eye, but when the view through the atmosphere is oblique, as it is along the planet's limb (edge), it will distort anything seen through it. 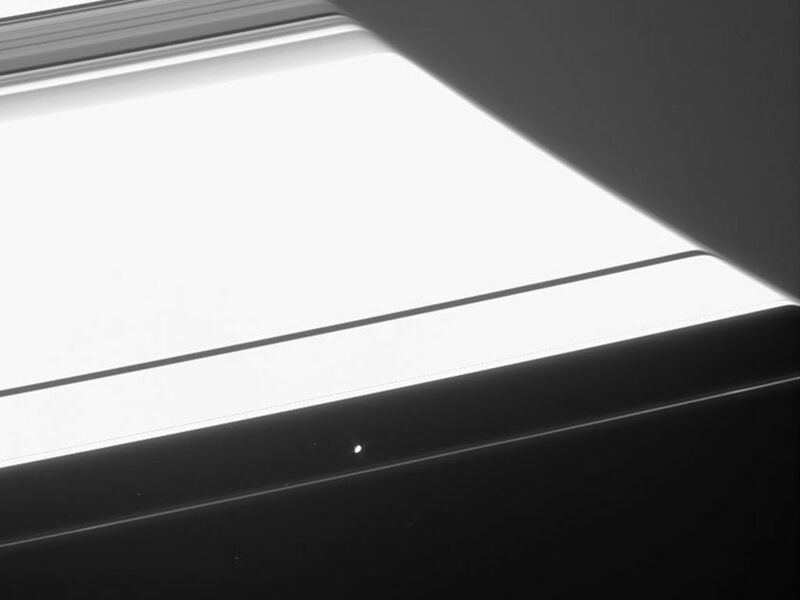 The refracted image of the rings in this image taken by Cassini of Saturn's night side abruptly terminates where Saturn's high-altitude haze becomes opaque. 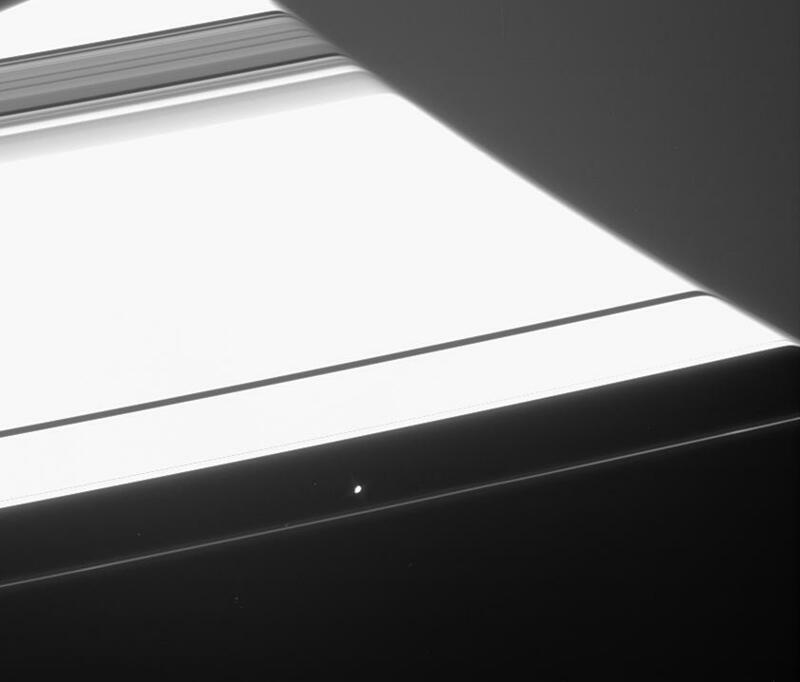 Saturn's F ring shepherd moon Prometheus (102 kilometers, or 63 miles across) hovers below the center. Had an image like this been taken a few minutes earlier, the appearance of Prometheus would also have been warped. 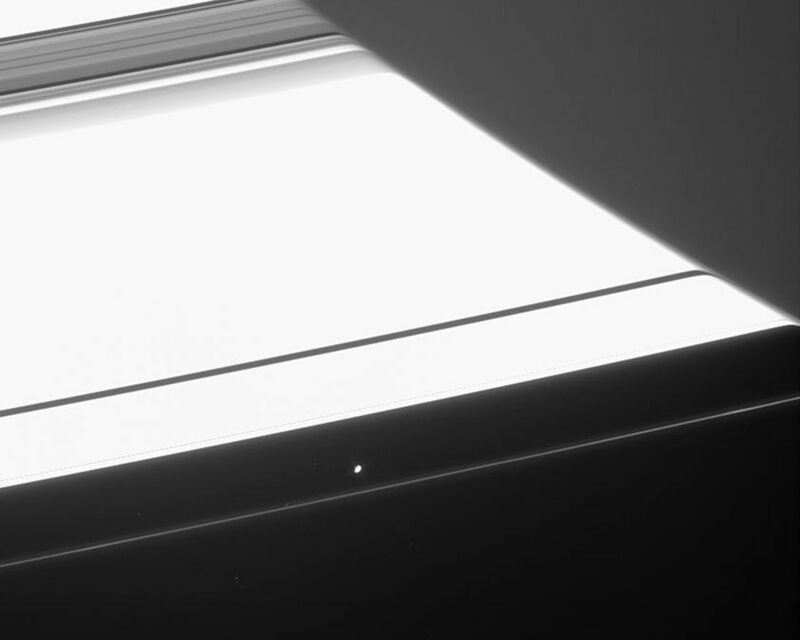 Near the left edge of the image, the appearance of the Encke Gap in Saturn's rings is being refracted. As the gap emerges from behind the planet, its image is bent less and less, following the decreasing density profile of the atmosphere with altitude. 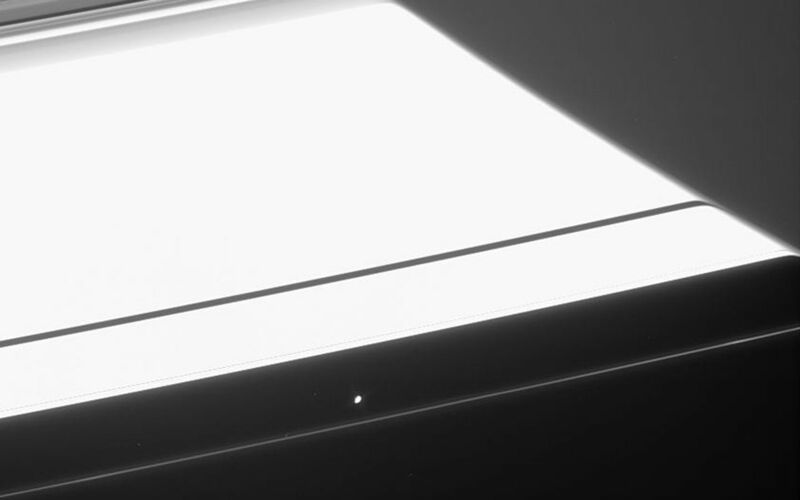 The appearance of the Cassini Division is warped as well, near the top of this scene. The refraction effect is slightly different in this visible light image than in a previously released infrared view (see PIA06656). The image was taken in visible light with the Cassini spacecraft narrow-angle camera on April 28, 2005, at a distance of approximately 2 million kilometers (1.2 million miles) from Saturn. The image scale is 12 kilometers (7 miles) per pixel.